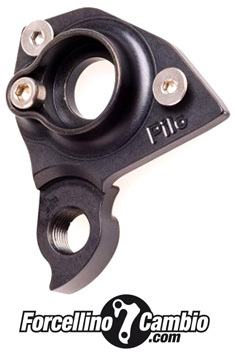 Ellsworth Glimpse 2008 - 2010 derailleur hanger 6061 T651, made with CNC technology. Black anodized. Lighter and more durable than the hanger series. 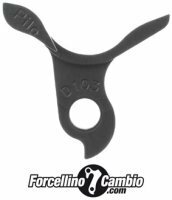 Ellsworth Dare 2004 - 2007 derailleur hanger 6061 T651, made with CNC technology. Black anodized. Lighter and more durable than the hanger series. Ellsworth Dare DH derailleur hanger 6061 T651, made with CNC technology. Black anodized. Lighter and more durable than the hanger series. Ellsworth Enlightenment derailleur hanger 6061 T651, made with CNC technology. Black anodized. Lighter and more durable than the hanger series. 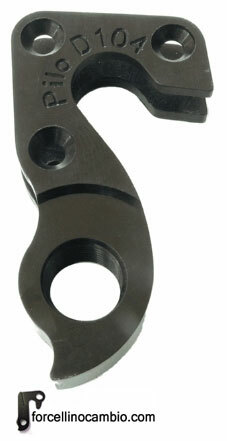 Derailleur hanger Ellsworth Moment 2005, 6061 T651, made with CNC technology. Black anodized. Lighter and more durable than the hanger series. Ellsworth Rogue 2004 - 2007 derailleur hanger 6061 T651, made with CNC technology. Black anodized. Lighter and more durable than the hanger series. 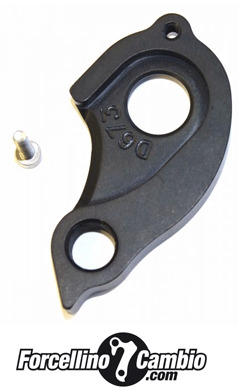 Ellsworth Rouge derailleur hanger 6061 T651, made with CNC technology. Black anodized. Lighter and more durable than the hanger series.